and above all fun way. Drakes Farm Riding Centre has access to a network of quiet country lanes with stunning views. 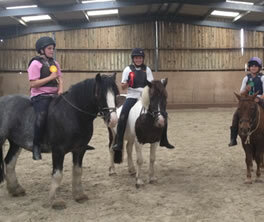 We offer children and adults the fantastic opportunity to experience an interactive approach to riding lessons. All the stables on our farm are housed in the newly converted farm buildings and are well maintained. DO YOU WANT PROFESSIONAL HORSE RIDING SERVICE?